Our leg raiser is ergonomically designed to comfort people who suffer with swollen legs and to stimulate the circulation of blood. Many people within the UK are currently suffering from Bilateral or Unilateral Swelling. 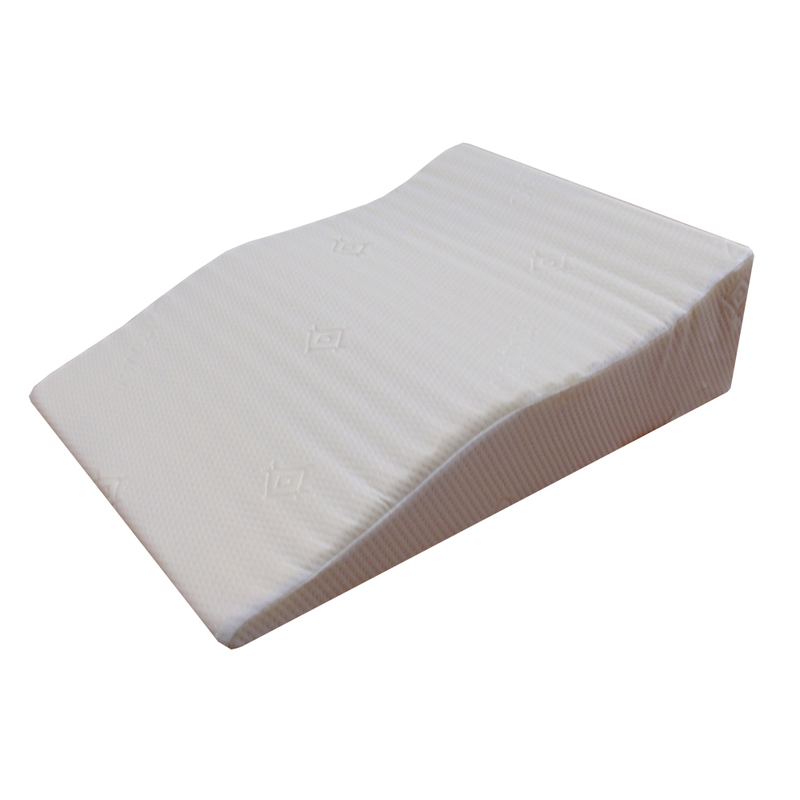 This can cause mobility issues and finding comfort while lying down extremely difficult. With our leg raiser these problems can be solved from our ergonomic design and choice of materials. Due to our ergonomic design we are able to relieve the pressure points that create the aches and pain caused by swollen legs. The surface of our leg raiser has a layer of rippled memory foam which moulds to the contours of your legs giving good support and posture. Intermittent Claudication can affect your legs and mobility immensely. It helps stimulate the blood flow of your legs by supporting them into the optimal position to encourage the blood flow again. Even though the leg raiser has very specific purposes we have not compromised on comfort ensuring we have created the best product possible to give you the best experience. Our leg raiser has been designed keeping in mind the problems we aim to solve such as swelling and blood circulation while not compromising on comfort. It has also been designed with the consideration of the ergonomic constraints of the legs hence why we use a layer of memory foam tubing on the top surface to mould to the contours of your legs. We have used a high density foam body which provides a firm base to our product making it very rigid and durable, making it capable of taking the weight of extremely swollen legs. The top surface of our leg raiser has a layer of memory foam which features rows of tubing that provides support and comfort to your legs, contouring to their shape. The cotton covers can be removed & machine washed at 30°. The foam cannot be washed. It is possible to clean using a gentle washing agent and dab if any stains occur.